Decorating a home is something that almost everyone experiences at some point in their life. Whether it is for a newly wed couple purchasing their first home or having a full remodel after living in a home for twenty years. No matter the time frame, sprucing up a home is a common practice, and with the increasing use of social media this practice has become easier. Social media has now gone beyond the connecting and communicating amongst people, but utilizes the sharing of pictures and crafts through Pinterest. Along with Pinterest, Houzz and HomeMint are two other websites that have grown increasingly popular for redecorating a home. As of last year, Pinterest has become the third most used social media site behind Facebook and Twitter (according to Bit Rebels). Pinterest seems to be so popular among home decorators because there are a variety of home designs to choose from. There are many different ideas so that almost everyone can find the design and creation they want to implement in their own homes. These sites have made it easier for people to gather ideas at their own convenience. Pinterest has 20 million visitors per month and Houzz has 1.2 million visitors per month (according to Bit Rebels). Not only has the viewership on Pinterest grown, but the number one industry on Pinterest is home decor. Of the top five boards pinned on Pinterest, three of them relate to home decorating. The sites interest has grown for a couple different reasons, one being the tutorials that can be found on how to make a tasteful looking home with items that may be run down. 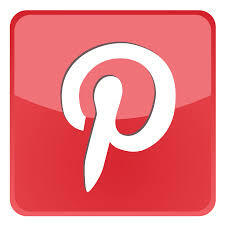 Pinterest also provides an educational tool to help people remodel and decorate on their own homes with a low budget. Social media has once again made it more convenient for people to share their home decor ideas through other networks. There are multiple home decor websites such as Buzz Feed that show a picture of a crafty way to spice up a room. After placing the mouse over the picture multiple social networks come up such as Facebook, Pinterest, Twitter, and email. This is an easy way to spread the ideas that the viewer likes to other social outlets with just a click of the mouse. This not only utilizes other social networks, but also allows others an easy way to access home decorating ideas through multiple outlets. Follow our social media sites: “Like” Innovative PR on Facebook, follow us on Twitter, and start Pinning with us! Whoa… You haven’t applied for IPR yet?!? !